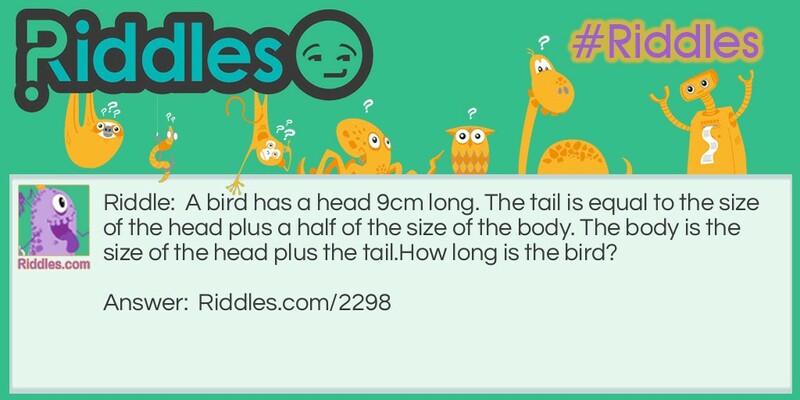 A bird has a head 9cm long. The tail is equal to the size of the head plus a half of the size of the body. The body is the size of the head plus the tail. How long is the bird? 72cm. Th head is 9cm. The tail is 18 + 9= 27cm. The body is 9 + 18 + 9= 36cm. 9 + 27 + 36= 72cm. Big Bird Riddle Meme with riddle and answer page link.